World’s 1st IoT solution for peat monitoring! Levikom offers IoT-based monitoring solutions for various use cases in peat production including internal combustion or wildfire detection and peat quality control. Our solutions are a meant for remote peat fields and let peat producers cost effectively and constantly measure temperature, CO levels and humidity in peat fields and stacks. 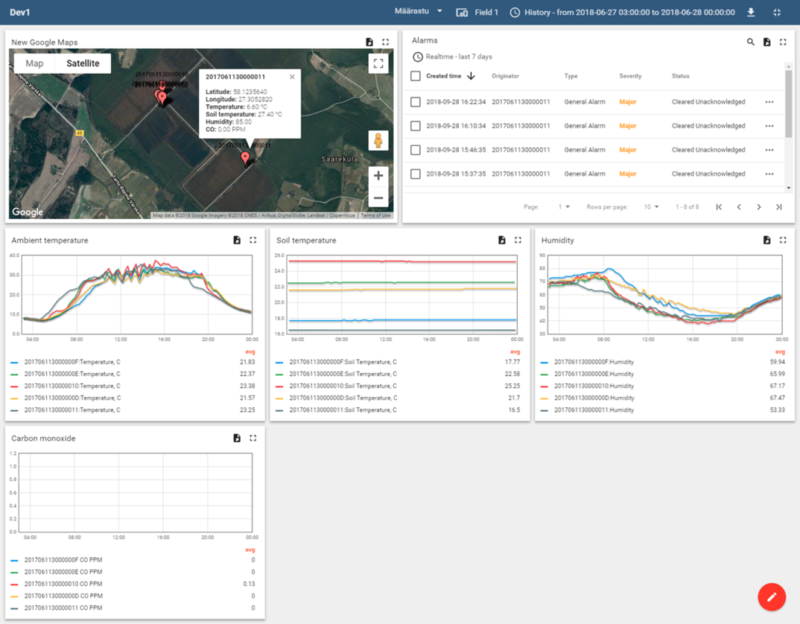 Our NORA-X PEAT Field Monitoring end-to-end application offers user friendly dashboard and gives easy access to sensors data, allows to set alarms and receive notifications when measurements surpass designated levels.